The first test-tube baby, Louise Joy Brown, was born in 1978. 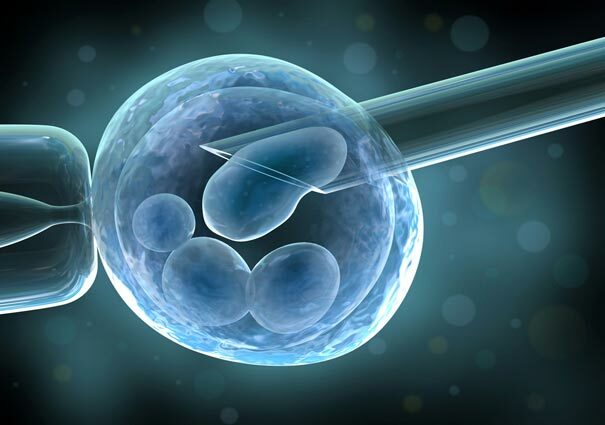 In the 1950s scientific research was carried out to help couples conceive through artificial methods. Dr Robert G. Edwards (b. 1925) was a pioneer in the field; but it was until the mid-1970s, when Patrick Steptoe started working with him, that Edwards successfully fertilised an egg cell and implant it in the uterus. Lesley and John Brown visited Edwards in 1977. Edwards and his team collected egg cells from Lesley’s uterus. They placed them in a cell culture dish and then fertilised them with John’s sperm. A few days later, Edwards placed a healthy growing embryo in Lesley’s uterus. Nine months later, on July 25, 1978, at 11:74 pm, Louise Joy Brown was delivered by caesarean section in a hospital in Oldham, UK. Four years later her parents gave birth to a second test-tube baby, Natalie. On May 13, 1999, she became the first test-tube baby to give birth to a healthy child conceived naturally. After Louise’s birth, hospitals around the world started offering in vitro fertilisation. On June 23, 1980, Candice Elizabeth Reed was born at the Royal Women’s Hospital in Melbourne. Twelve of the first 15 successful IVF babies were born in Melbourne. According to the Fertility Society of Australia, one in six Australian couples suffers infertility. Twenty to 30 per cent of fertilised eggs lead to the birth of a healthy child.